These displays work with your iPad to give you a sense of every single inch of your operation. When in the cab of your planter, you can get an inch-by-inch visual of each row, all of which can be saved and presented to consultants later on for fine-tuning. One way to fine-tune the precision with which your farm implements operate is to invest in a Steercommand Automated Steering System. Instead of struggling through human error, this system provides sub-inch accuracy to make steering as precise as mechanically possible. With so many different types of hardware available to capture data, the people running farms also need software that knows what to do with all those numbers coming from all those different sources so they can make the most out of their precision planting operation. 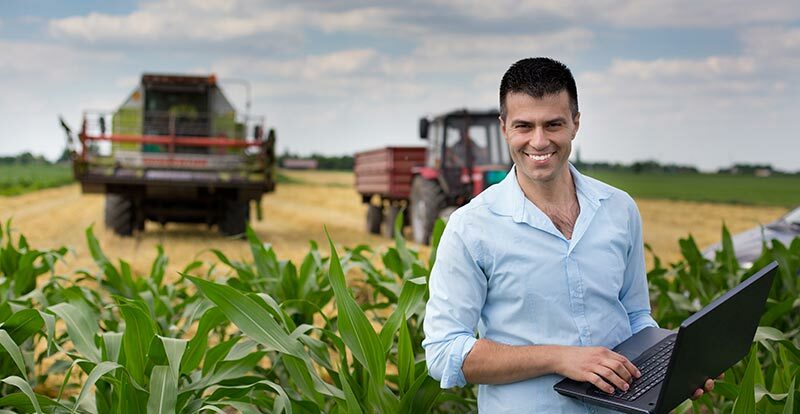 SMS farm management software handles planting, application, harvest, and even field stewardship, giving the grower all the data they need to run a successful farm. As seed gets more advanced, it grows more expensive, so wasting any of it is no longer is an option. Using SeedCommand software gives farmers an efficient system for controlling how much of that expensive seed they use. It is designed to maximize yield potential and bottom line performance, all by tracking how much seed you are planting and where and how you are planting it. Controlling seed use is just one part of proper yield monitoring, however. Planters also need to consider field conditions and moisture maps to make the most of what they have planted. With Ag Leader Yield Monitoring hardware, you can read the moisture content of grain in the harvester elevator, you can check mass flow sensor monitor yields, and you can acquire information about both things via the Ag Leader display mounted on the cab. It’s yet another tool to ensure you get the most out of your yield each season. If you have a need to install field drainage tile, the Intellislope Tile Plow Control System uses RTK GPS to ensure that it’s done with a positive grade throughout the entire run. It simplifies the process and cuts out some of the problems that come with laser surveying equipment. If you have any questions about these technologies, just reach out to someone here at Bottom Line Solutions and we will be happy to walk you through the ins and outs of these great new precision agriculture technologies. Farming can be more profitable and precise than ever before, and we have new technological innovations like these to thank for that.